Author: Busch, Akiko Set In . . .
After a transformative swim across the Hudson just before September 11, Busch undertook to explore eight of America's great waterways: the Hudson (twice), the Delaware, the Connecticut, the Susquehanna, the Monongahela, the Mississippi, the Ohio, and the Current. She observes each river's goings-on and reflects on its history (human and natural) and possible futures. Some of the rivers have rebounded from past industrial misuse; others still struggle with pollution and waste. The swims are also opportunities to muse on the ordinary passages faced by most of us?the death of a parent, raising children, becoming older?and the ways in which the rhythms and patterns of the natural world can offer reassurance, ballast and inspiration. 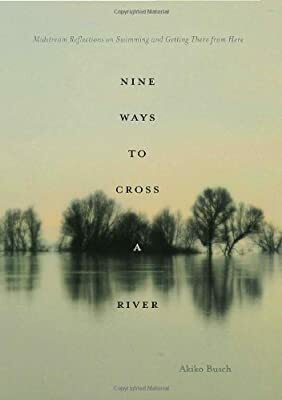 A deeply moving exploration of the themes of renewal and reclamation at midlife, Nine Ways to Cross a River is a book to be treasured and given to friends.